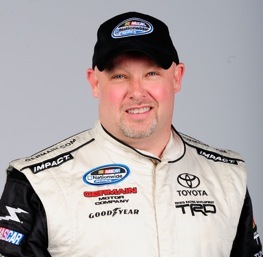 Todd Bodine won the Too Tough To Tame 200 Camping World Truck Series Race at Darlington Raceway on Saturday night. The victory was the third of the season for Bodine, who is he series points leader. “We got it going on,” Bodine, who also won last weekend at Nashville Superspeedway, said. The victory was the 20th of Bodine’s career in the truck series. Bodine had also won in the Nationwide Series at Darlington back in 2003. Timothy Peters finished second and defending series champion Ron Hornaday Jr. was third. Bodine stretched his lead to 226 points over Aric Almirola with the victory at Darlington. He leads third-place Peters by 247 points.